On September 17, we welcomed our newest associate, Janine Idziak, during her commitment ceremony. She has spent the last several months learning and reflecting on Presentation heritage and mission with Sister Sheila Ann Dougherty. In her initial request to become a Presentation associate, Janine shared the following: "Through the orientation process, I have found a fit between the Presentation mission and direction statement and my own life commitments. I try to confront injustice and work for peace by being attentive to legislative action alerts, by serving on the Human Life and Dignity Committee of the Iowa Catholic Conference, and by teaching classes on Catholic social teaching for the Diaconate formation program. Recently, I have had a desire to become more involved in hands-on service and I am taking steps in that direction. This fits with the Presentation commitment to radical hospitality and with the life of Nano Nagle and incarnating the hospitality of God." Janine is originally from Michigan, and came to Dubuque in 1984 to join the philosophy faculty at Loras College. 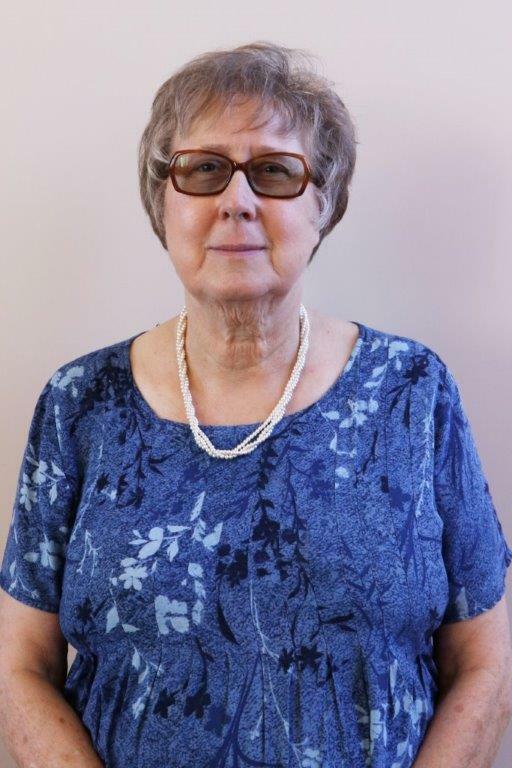 Presently, she is a Professor Emerita but remain director of the college's Bioethics Center. 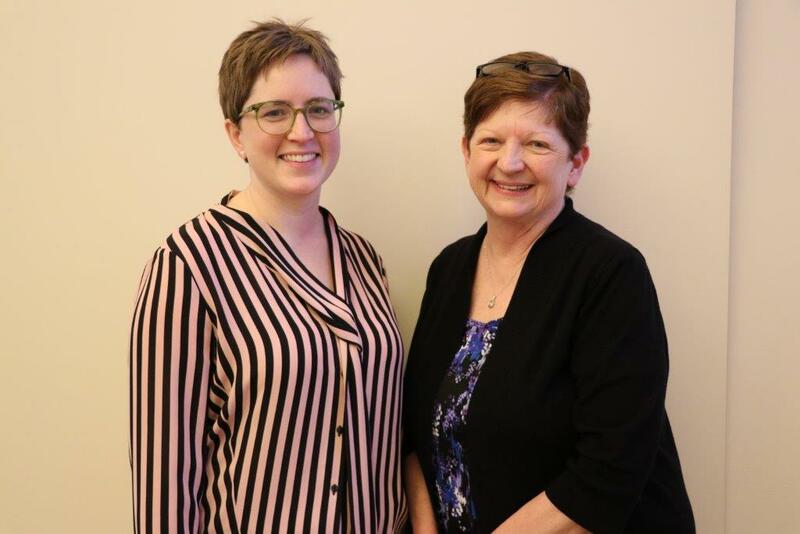 She also works as Health Care Ethics Consultant for the Archdiocese of Dubuque, and teaches classes in moral theology and Catholic social teaching for the Archdiocesan Diaconate Formation Program. Through her work for the archdiocese, she came to know several Sisters of the Presentation. She started attending Mass at the motherhouse, and was impressed with the quality of the liturgy and the warmth shown to visitors. As a single person, she looks forward to the "community" dimension of being an associate and to opportunities for faith sharing and to engage with others in the social service and social justice projects that were so important to Nano Nagle. On July 1, the Presentation community welcomed another wonderful group of associates! Rachel Evans, LaVeta Jarrett and Cady Windish became the newest Presentation associates during their commitment ceremony. They have spent the past months with sister and associate mentors studying and reflecting on Presentation Foundress Nano Nagle and the Presentation mission. Rachel Evans lives in Forest City, Iowa, and works at Winnebago Industries. Rachel wants to use her gifts to encourage and inspire the fire in others. In her request for initial associate commitment, Rachel states: "As I look out my guest room window at Mount Loretto, I see the outdoor labyrinth, and it reminds me that I want to use my gifts to understand the twisting and winding paths of others, which is what attracts me to this community. 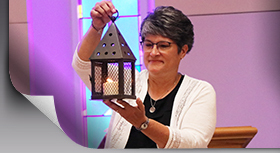 With the help of the Holy Spirit, the lantern of Nano, and along-side the Iowa community of sisters, I hope to encourage and inspire the fire in others." LaVeta Jarrett is a nurse practitioner in Hutchinson, Kansas, where she cares and advocates for the physically and mentally ill. She continues to reflect on the journey of her life and where God is calling her to serve. Reflecting on her desire to become a Presentation associate, LaVeta shares: "Through this journey with the Presentation associates, I have been blessed with the opportunity to reflect on the journey of my life so far and where God is calling me. I struggle with radical hospitality at times and non-violence, but I find myself looking deeper into my strengths and how to use them to further serve the most vulnerable." Cady Windish is a high school English teacher in Morton, Illinois. She first met Presentation Sisters at St. Ambrose and was drawn to their hospitality and their focus on light and love. Cady expresses these thoughts: "Nano is such an inspirational figure, and it has been a marvelous journey getting to know her throughout this discernment process. I want to follow God’s call and share Nano’s experience with others. The idea of Nano carrying the lantern around the streets of Cork is a beautiful image that I want to incorporate more distinctly into my daily life. I believe becoming an associate committed to Nano’s values will help me build my relationship with Christ and the Church." 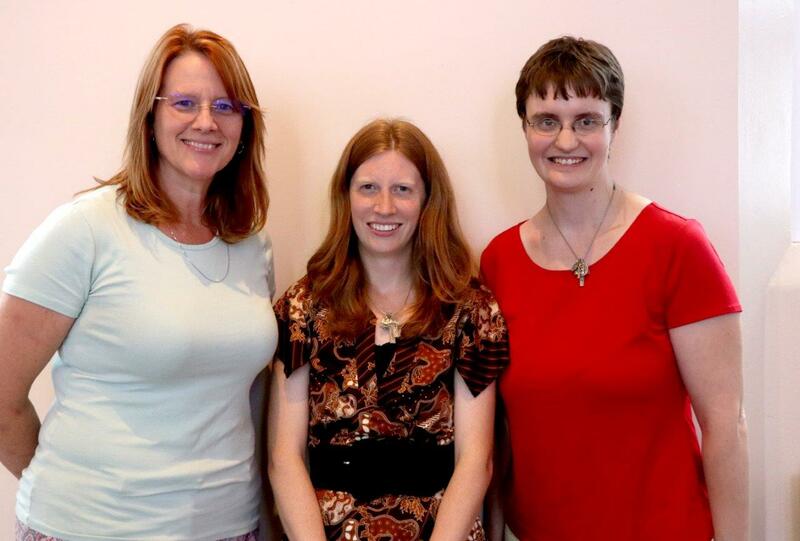 We welcome Rachel, LaVeta and Cady! May their lives be enriched through their participation in the Presentation Associate Partnership. On May 6, 2018, four new associates were welcomed into the Presentation Associate Partnership. 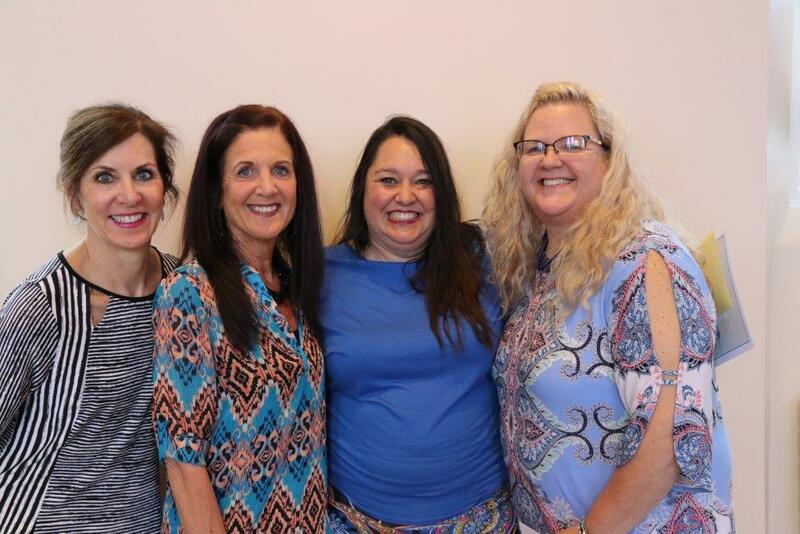 Thalia Cutsforth, Jen Hayes, Judy Kalb and Carol Wyatt gathered with Sister Rosalyn Ulfers and Associate Cindy Pfiffner for the past six months to pray, study and reflect on Nano Nagle, Presentation heritage, charism and mission. They are certainly women of service who have a willingness to offer their gifts for the benefit of others. On January 24, Sue Brimmer (right) and Sarah Gieseke (left) became the newest Presentation associates during their Commitment Ceremony. They have spent the past months with sister and associate mentors studying and reflecting on Presentation Foundress Nano Nagle and the Presentation mission. We welcome Sue and Sarah! May their lives be enriched through their participation in the Presentation Associate Partnership.